GLTI.CH Karaoke was a collaborative mess between Kyougn Kmi and Dnaiel Roruke, ongoing between 2011 and 2014. Caught between a glide and a slip, the glitch exposes the course of accidents, of temporary lyrical disjoints and the technical out-of-syncs. From the Japanese for ‘empty’ and the English ‘orchestra’ Kara-oke is a global portmanteau, errored in the translation between screens and earworms. GLTI.CH Karaoke establishes its own time-codes as webcam data jolts and audio streams jostle from server to internet server. GLTI.CH Karaoke duets with global hit parades, clashing together in mutual mis-syncs, each relative to its other. 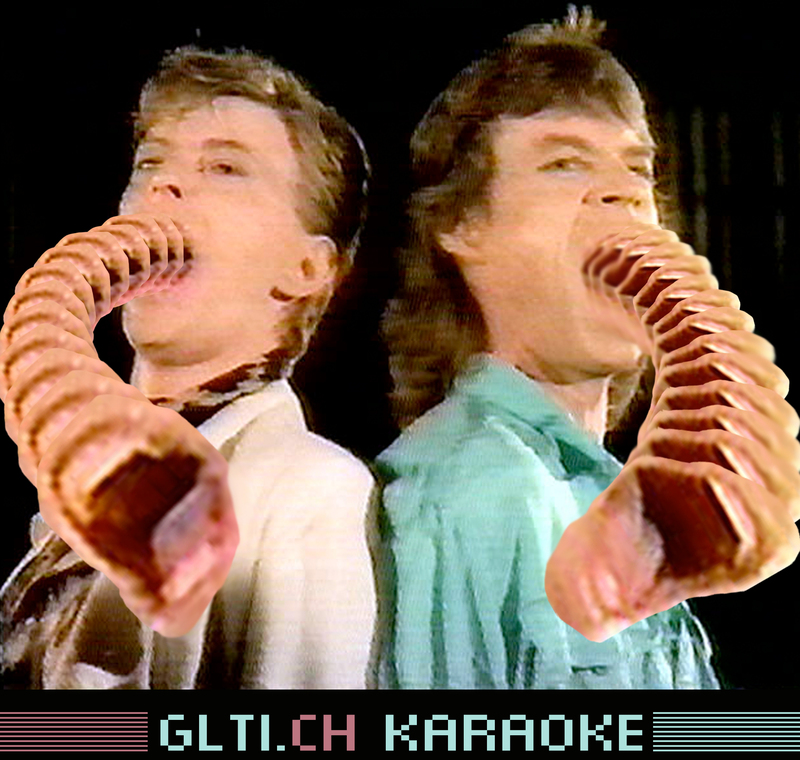 With a fondness for compressed pixels and midi programmed synthetics, GLTI.CH Karaoke is a moving, not a movement. A rapid infection spreading like an earworm across nations and networks, GLTI.CH Karaoke asks humans to err: to seek out the Gremlin and live with it.